Clayton won the Kodak Award for Best Work Shot on Film at the 2018 Queens World Film Festival, whose prize is film stock for an upcoming project. He is a chapter leader of The Filmshop, a filmmakers’ collective in New York City. He is proud to serve as a moderator at the Austin Film Festival, and as a festival screener for them in addition to Bend Film Festival and Brooklyn Film Festival. TOO LATE tells the story of Chad, a man who sets out to apologize to the woman he wronged. He better get it right--the stakes couldn't be higher. TOO LATE premiered at the Queens World Film Festival on March 22nd, and is nominated for both the Best Comedy Short Award and the Best Short Short Award. Clayton's first project as writer and director is the story of a longtime resident of New York City who realizes she no longer recognizes her neighborhood. 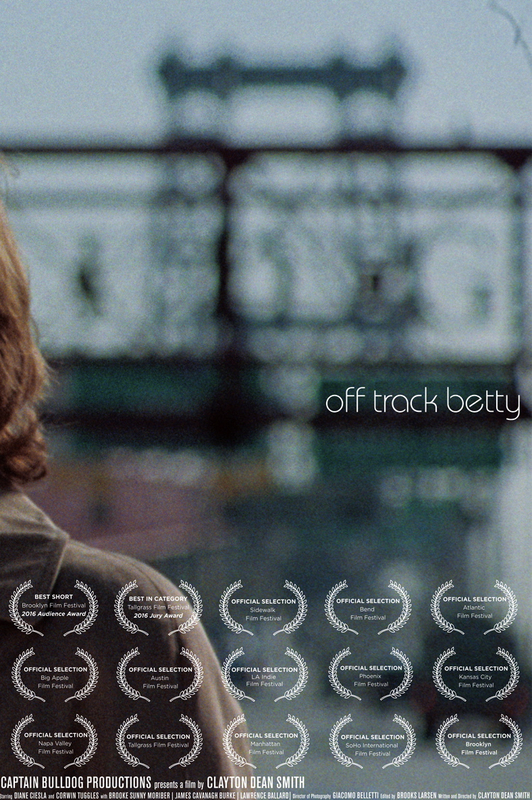 Shot on 16mm film on locations that were soon demolished, Off Track Betty is a short film about love, memory, and what it means to move forward. Winner: Kodak Award for Best Work Shot on Film, 2018 Queens World Film Festival. Clayton's next projects include an original short screenplay about growing up queer in the Midwest; a short film adapted from a story by Randy DeVita in development; and two feature film screenplays in development under the auspices of Captain Bulldog Productions, LLC. Follow Clayton and his work on his Vimeo channel.